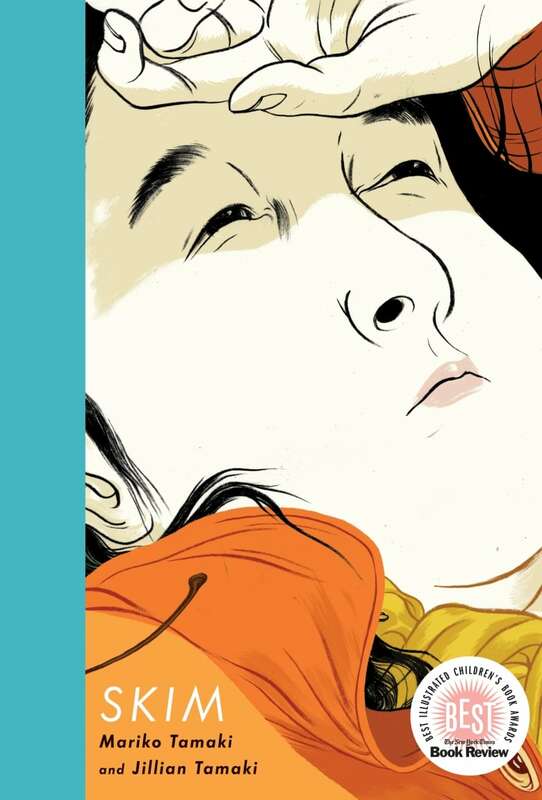 Mariko Tamaki and Jillian Tamaki created this coming-of-age graphic novel. Skim is Kimberly Keiko Cameron, a not-slim, would-be Wiccan goth stuck in a private girls' school in Toronto. When a classmate's boyfriend kills himself because he was rumoured to be gay, the school goes into mourning overdrive, each clique trying to find something to hold on to and something to believe in. It's a weird time to fall in love, but that's high school, and that's what happens to Skim when she starts to meet in secret with her neo-hippie English teacher, Ms. Archer. But when Ms. Archer abruptly leaves, Skim struggles to cope with her confusion and isolation, armed with her trusty journal and a desire to shed old friendships while cautiously approaching new ones.